Where there is a sporting event there will be betting! The attraction of sports betting on all kinds of events is huge and worldwide, but what is it? What causes such a massive attractive magnetism that draws in punters from everywhere looking to put their money on this or that team or competitor? To understand the process that causes a person to want to spend a proportion of their own hard earned money on a chance result on a sporting event, you have to go back into our ancestral history. That's where gambling was not so much a way of life, but more an actual part of life itself. 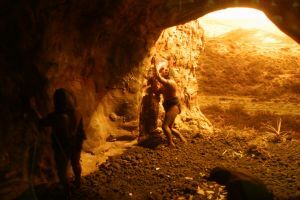 Our hunter gatherer ancestors risked their lives daily in a hostile environment that had them constantly seeking food. In the hunt for animals to kill for that food, they were exposed to large and fearsome predators that viewed the hunters as potential meals in themselves. The hunters gambled with their very lives on the prize of a worthwhile kill that would feed them and their families and tribes against winding up on the menu of the day for a family of big cats or pack of ancient wolves! The instinct was to take the risk because if they didn't, they simply wouldn't eat and eventually starve to death. That's an instinct that is hard wired into our psyche and is not one we can easily detach ourselves from. Sure, there are many people who tiptoe through life never daring to take any risks whatsoever and hoping they make it safely to death, but that makes for a very dull life! Modern day gamblers are simply allowing their deep instinct for risk taking play out in a way that transforms the danger element into an element of risking money instead of risking life or limb. The thrill of anticipation that accompanies a sports wager is little different from the powerful emotions of anticipation or fear that caused our ancestor's bodies to pump adrenalin through their veins so they could be at the peak of physical prowess in order to kill their prey or escape their predators. That means gambling is not so much a modern day curse, a sin against a religious deity or even an illicit act (depending on the laws of the country lived in), but simply an instinct that has to be intellectualized and actualized in physicality in the form of a monetary bet. Of course, not everybody will see it that way and there are exceptions to this convenient explanation where things are taken to extremes. When things start to get out of hand, the gambler moves from being the social, entertainment seeking person who likes to place a few bets here and there to the problem gambler. Problems arise when the gambler allows things to get out of hand, mismanaging their bankroll and betting beyond what they can afford to lose. Fortunately, this appears to occur only infrequently and usually in people that have other emotional or external factors dictating their actions. They can become desperate and try to bet money in order to win back what they have previously lost, which is a highly risky thing to do and almost always results in further losses sending the person spiralling down ever deeper into debt. However, the vast majority of sports bettors enjoy the pastime harmlessly and only betting with funds they can afford to lose, meaning they don't have a problem if they lose and if they win, it is all the more enjoyable for it. When this is the case, there are many beneficiaries of the pastime aside from the obvious bookmakers who always seem to have the upper hand. The sports themselves do benefit indirectly from gambling. Players and teams of all sizes and in all popular sports gain sponsorships from big brand gambling companies and bookmakers. Television companies show the big matches and indirectly advertise the companies sponsoring the teams, while generating revenue for themselves from advertising. The industry is a huge merry-go-round of financial back scratching that keeps the sports high in profile and well financed, while players in certain disciplines can earn huge paychecks. Without gambling to underpin these industries, the whole structure will fall and sports will in the most part lose a lot of the funding it receives. So don't be too hard on people who enjoy betting on sporting events because they are in their own way helping to keep the whole jamboree turning and palms greased. And if they win a handsome amount from their pastime, get the celebrations underway because it is certainly something worth celebrating!